The Minister for Defence, Senator John Faulkner released the report on the Loss of HMAS Sydney II on August 12 in the presence of Chief of the Defence Force, Air Chief Marshal, Angus Houston, Chief of Navy, Vice Admiral Russell Crane and Acting Chief of Air Force, Air Vice Marshal Geoff Brown. The President of the Commission, the Honourable Terence Cole AO, RFD, QC, also discussed the contents of the report. From the report, it is clear that ‘Element of Surprise’ by HSK Kormoran, was the key factor for the loss of HMAS Sydney II. HMAS Sydney II, a modified Leander Class Light Cruiser sank with 645 crew with no survivors on November 19, 1941 following an engagement with the German raider, HSK Kormoran, off the Western Australian coast. HMAS Sydney II was located on March 16, 2008 following the discovery of HSK Kormoran on March 12, 2008 approximately 112 nautical miles off Steep Point, Western Australia, at a depth of 2560 metres. Both wreckages were located by Survey vessel Geosounder. 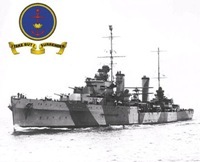 A Commission of Inquiry was appointed by the Chief of Defence Force to inquire into and report upon circumstances associated with the loss of HMAS Sydney II. The Inquiry’s key findings confirm that accounts provided by the HSK Kormoran survivors of Sydney II’s last movements and of the damage she sustained during the engagement with the German raider are correct. The Commanding Officer of HMAS Sydney II was not expecting to encounter any merchant ship in the location where he encountered Kormoran. That knowledge together with his knowledge of the possible presence of a German raider should have caused the sighted vessel to be treated as suspicious. Another key finding is that there is now additional compelling evidence to support the conclusion that the body recovered from Christmas Island in 1941 is that of a member of HMAS Sydney II’s ship’s company. Each of the many frauds, theories and speculations reported to the Inquiry were thoroughly investigated. None were found to have any substance whatsoever. The Report is in three volumes. Chapter 17: Does the empirical and expert evidence support the German account ? Chapter 19: Why did HMAS SYDNEY approach close and parallel to HSK KORMORAN ? Chapter 30: Speculation – why SYDNEY came so close to KORMORAN ? View HMAS Sydney II and HSK Kormoran sketches as pdf. Read the full report from Dept of Defence, Australia.